Survival Cave canned chicken is an excellent addition to any survival food stockpile. It will provide you with all the high quality protein you and your family need to stay strong during difficult situations. In addition, chicken is one of the healthiest meats, providing you with plenty of calories and protein to keep you going, without the unwanted fats. Each order comes with 12 large 28 ounce cans, which will be enough to feed most families. Stock up on this great food now, so you’re ready for the future. 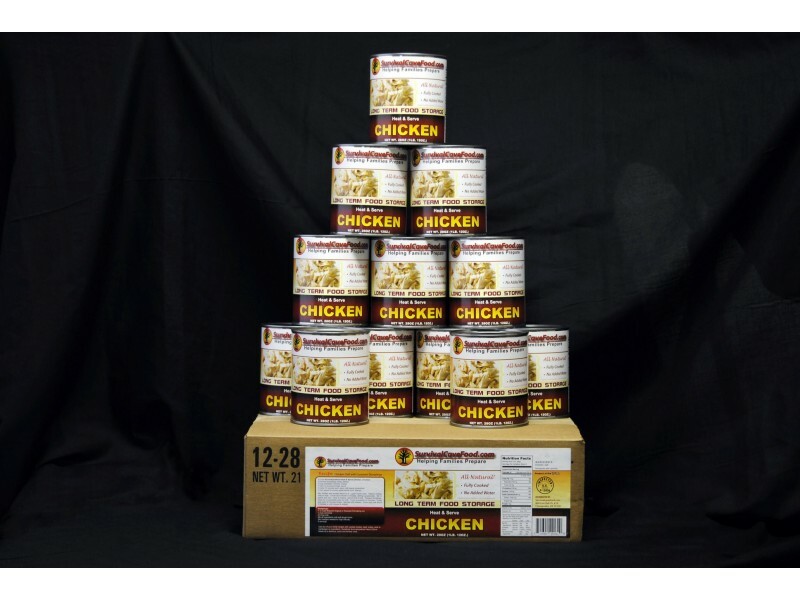 Canned chicken from Survival Cave is one of the best options avaiblel when it comes to emergency food rations. Each can has enough great tasting chicken to feed most families, and even kids will be happy to eat it. The familiar taste of chicken will help prevent parents from having to force kids to eat bland foods, even in difficult situations. This can help with the morale of the family, and keep everyone going until life can return to normal. Of course, you can also use these cans of chicken for other things, including taking them with you when camping or on road trips, to ensure you have the food you need. All the chicken is pre-cooked so you can eat it right from the can if needed. Ideally, however, it should be heated up, or cooked into a recipe to help get the most out of each bite. 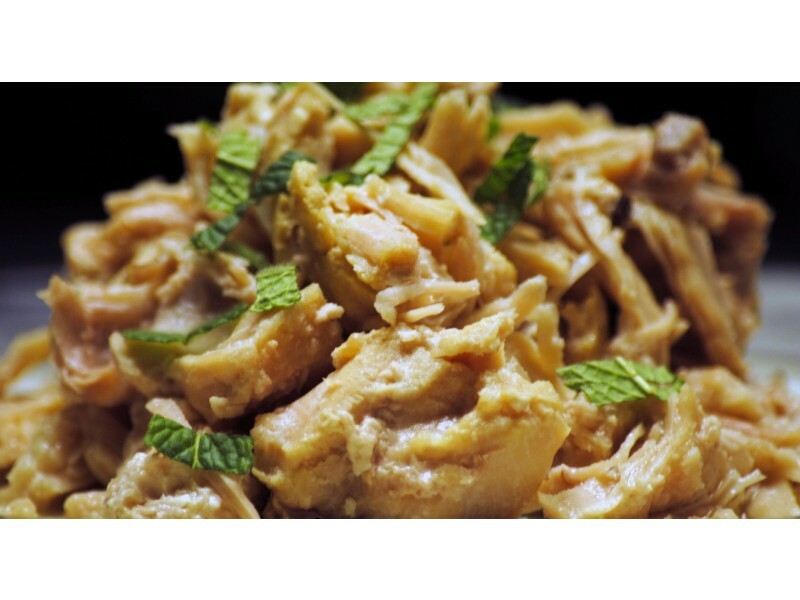 Everyone will enjoy the great taste of this chicken, and you’ll be happy that you have it available for you and your family in the event that there is ever any sort of natural disaster or other emergency situation. Stock up on yours today so you’re ready for anything that comes your way. You will get a total of 12 cans with 28 ounces in each can, no water or broth added, simply the all-natural juices from the meat. You are going to get 12 cans (full case) for a total of 108 servings. That’s a full 21 pounds of fresh delicious wholesome hand packed and cooked meat. Our canned storage meats are all natural and DO NOT possess any MSG, additives, fillers or chemicals. They are lower sodium, low in fat and healthy and balanced for one’s family. USDA inspected Survival Cave Food canned meats are only made using 100% USDA inspected meats. Many other canned meats are foreign meats or state they are packaged in the USA however the meat in fact originates from other countries and are only packaged in the US. We simply use 100% USA meats! You will get a total of 12 cans with 28 ounces in each can, no water or broth added, simply the all-natural juices from the meat. How long will this canned meat last? Our canned meats are prepared in a very different technique than most canned meats available in the market. They are slow pressure cooked at a low 240 degrees and have NO EXPIRATION date. An acceptable life expectancy is about 12 -15 years however, many people accept it could possibly last 30 - 35 years or longer.